Cross boundaries with this Crossland® customizable jacket from! For the coordinating men’s jacket, see item #120156-M-ATCrossland Soft Shell Jacket - Men’s - Applique Twill. 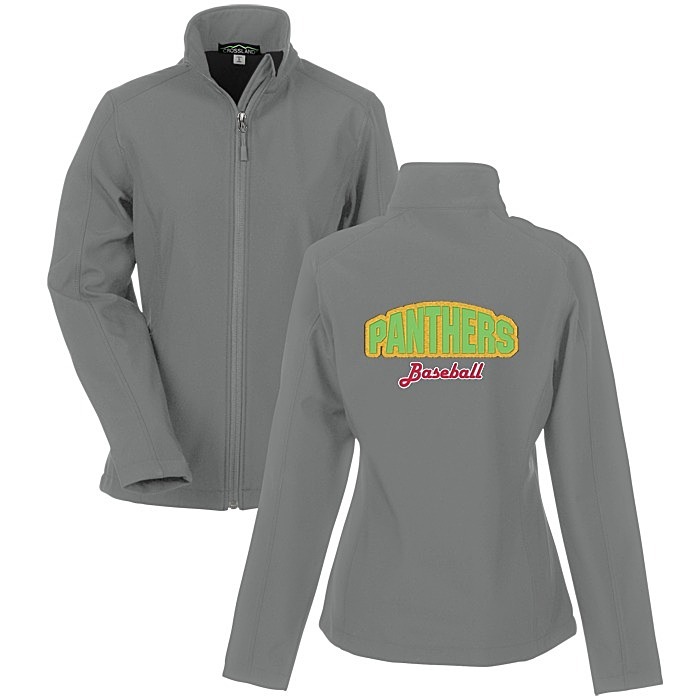 Your price includes up to two appliqué fabric colors in one location and any additional embroidery work within the imprint area (up to 12 thread colors). Additional appliqué twill fabric colors are also available for an extra charge. Pricing also includes border stitching in your choice of Satin Stitch, Motif Fill, Jagged Edge, Run Stitch, or Zig Zag; please indicate your choice in the comment box during the ordering process. Border stitch thread matches the appliqué fabric unless otherwise noted; please click on the thumbnail images for examples of each type of border stitching.